Well said! Try and tell the young that and they just turn around and offer you seasons greetings. Thats how standards are falling. I blame Constantine. 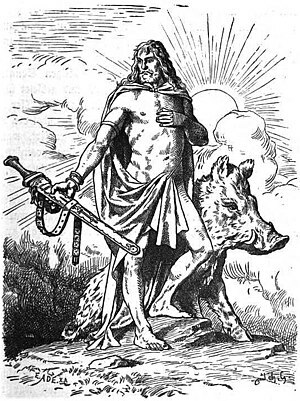 Thanks for the Freyr links glad to know that we still have our http:phallic fertility God. By the way – the angles and Saxons at this time werent british – they were invaders at war with the British – hence the Arthurian legends and the Christian influence was largely a way to stem the genocide. Ok so Im being pedantic. I’d provide a direct link if I could with this comments section, but copy and paste the following and it will explain more. ooo look ! there it is. hallelujah ! Its a miracle!